Yes, a parliamentary system is a hard sell to many Filipinos, because it does not allow direct election of the head of government (the prime minister or PM). 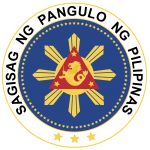 But I think there is a space for the Filipinos’ insistence of a directly elected chief executive in a future parliamentary system by allowing direct elections for a ceremonial president, who would simply become the head of state (in the current system, the president is both head of state and government). This way, even if the Filipino obsession with personalities was not suppressed immediately, it would instead be diverted into another purpose, and thus, far from being a liability for its caprice, would become a positive contribution to political stability. 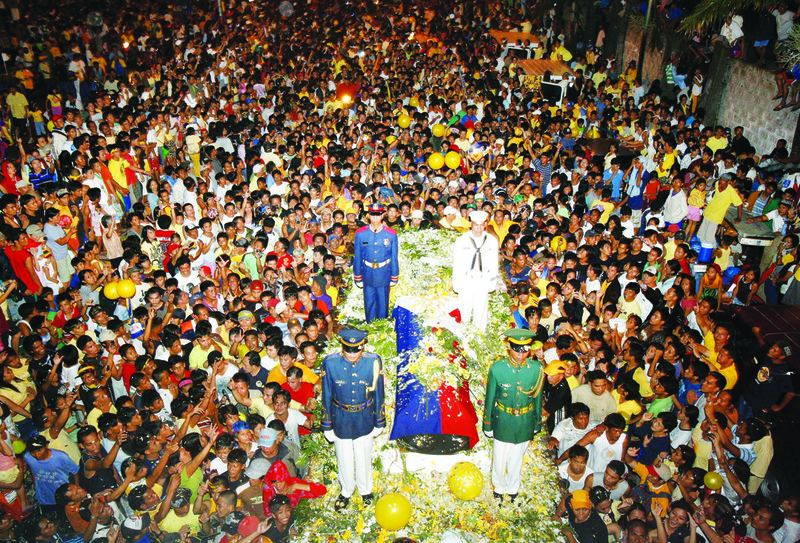 Cory Aquino dies, a much respected icon of democracy and freedom. A strong movement formed by multiple sectors begins to convince Noynoy Aquino to run for president. Aquino, being a member of LP, has to sever his ties from the party to qualify for the presidency, as presidents are expected to be impartial and transcend politics. The LP unofficially and quietly supports their former party member. Noynoy wins the 2010 presidency, while Mar Roxas who remains the leader of the LP wins the elections for his party, and later forms the government as the PM. GMA resigns the Lakas leadership. 1. Filipinos would be able to express their People Power nostalgia and personality worship by voting for Noynoy in a non-political position. 2. Noynoy, being above politics and not really expected to govern the country, would never have the chance to be incompetent and divisive. More importantly, the Aquino reputation that he embodied would not be tainted and thus not become a cause for division and alienation among Filipinos. This also means that the majority would not rethink Martial Law. 3. Mar Roxas would remain the leader of the LP and have the chance to lead the Philippines as PM. He would not need to sacrifice his political ambitions for the sake of nostalgia, because that sentiment was channeled in the presidential elections instead. 4. Everything ceteris paribus, that would mean less chance of things such as the HK Tourist Bus hostage tragedy happening. 5. 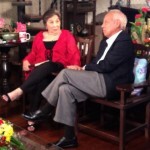 GMA, an unpopular leader, would be peacefully removed from power. Since the same happened in actual history anyway, the importance of this point is appreciated in the years before the election, when there would have been hardly any calls for a revolution or an impeachment (impossible), because she could have easily been removed either through a no confidence motion in parliament or a coup by her own party. 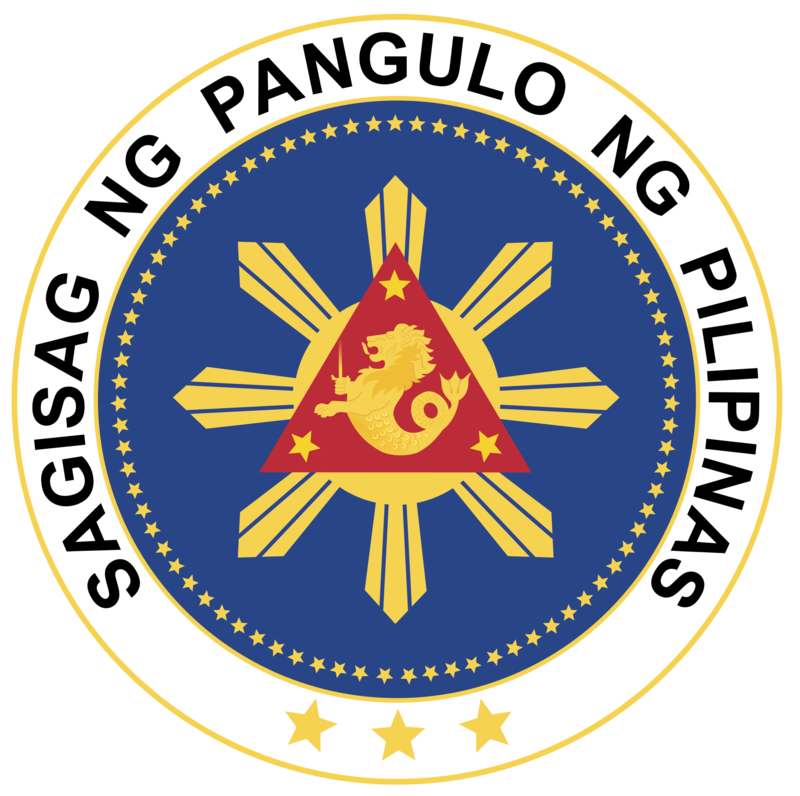 From our assessment of how things may have turned out, who knows, maybe under a Parliamentary System, former President Gloria Macapagal-Arroyo might not have been as villified and demonized the same way she was had she been a Prime Minister, because ultimately, in a Parliamentary System, most of the focus would have been on her Government’s policies, programs, and her party’s platforms, not on her person. If we are to actually look at it objectively, many of the legislators who joined the Liberal Party to cause it to have its majority were actually originally members of GMA’s Lakas-CMD-Kampi party/coalition bloc. Under a Parliamentary System, they wouldn’t have jumped over to the LP and it may very well have meant that GMA might have actually remained on as Prime Minister and wouldn’t have been unfairly villified. Mar might have become the Leader of the Opposition, and had Noynoy won as ceremonial figurehead president as a result of Tita Cory’s death in 2009, Noynoy wouldn’t have been able to wrongly influence or block all kinds of other reforms that we so desperately need to put in place. There wouldn’t have also been a PDAF or such a scandal in the first place. Things would have really turned out differently. I am no political scientist and I don’t claim to be one now in writing this. I am writing this based on my understanding of governance in the global and Philippine setting. An understanding that some may consider naive, to which I would not protest. Nevertheless, I felt the urge to write this in light of the recent and upcoming events in the country to express some thoughts that have been brewing in my mind for a long while trying to find a venue to express them. (thank you Medium!) I hope you get to find a few nuggets of wisdom or ideas in this piece, even though I’m no political pundit. First of all, for a long while I have always believed in the superiority of the American style of government. Maybe it’s the influence of America that is embedded in the consciousness of many Filipinos such as myself. After all, the Philippines was a US colony once. But I guess it can also be out this naive thinking that the American style of governance is simple and effective, especially the concept of having one person in charge, the president, representing the people as head of state and overseeing all aspects of running the country as head of government. 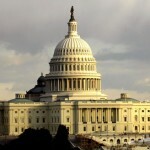 Certainly, the American style of governance has its merits and it works in some cases, at least at this moment. In the Philippine setting though, that style of governance is no longer working for us. Some may blame it on the people elected to be president becoming “ineffective” for one reason or another. Others may blame it on the electorate for being “dumb” in their voting. While there may be a justification on laying blame on the two, I believe the greater blame lies deep within. To figure out the root cause, we have to go back to the basic definition of the roles of head of state and head of government. 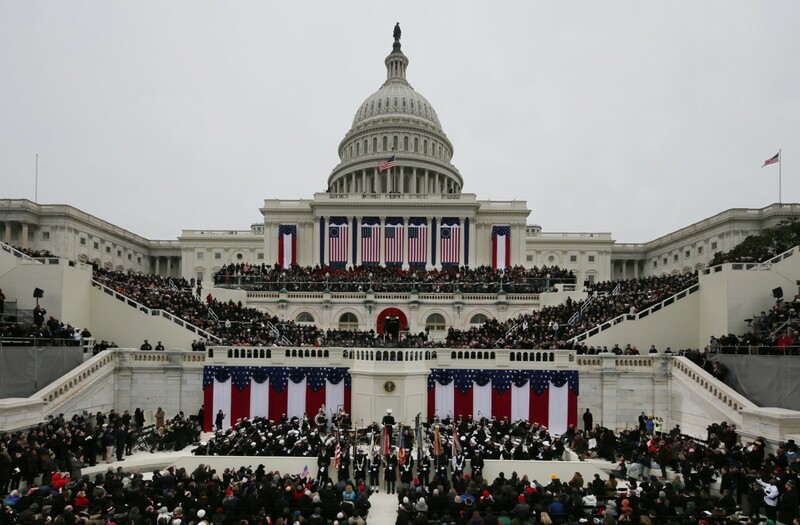 The head of state’s role is defined as being the chief representative of the state and the people of the state. As such, the head of state is considered as a unifying figure, not identified with any political affiliation whatsoever. Then, there is the head of government, whose role is defined as being the country’s chief executive who executes laws and formulates policies for the state’s well-being. 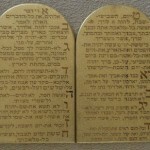 At times, these laws and policies are subject to opposition. Factoring as well the fact that the head of government position is more political in nature, the head tends to be a divisive figure, especially among those who oppose his/her policies or his/her political affiliation, though by default the opposition tends to be in the minority. 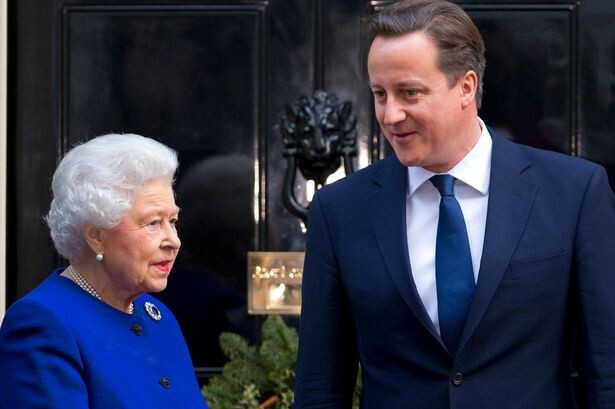 I suppose you can see what will go wrong if you have a head of state and head of government in one person. Once a controversial issue pops up, the unifying figure becomes a divisive one in an instant, adding another level of instability to the state already rocked by that controversy in the first place. Sadly, this scenario is something we are all too familiar with for years now. What’s even sadder is that many do not recognize this scenario as an effect of the screwed up system that we have right now, taking for granted the distinct roles of the head of state and head of government in the country’s dynamic. This dynamic factors in more during elections. Whether we realize it or not, our choices for president are factored by a mentality defined by a “head of state mentality” is or a “head of government mentality.” Some would vote a person for president because he/she is “our country’s hope” and “advocate our welfare” which is a head of state mentality. Others may vote for a president based on a belief that the person gets the job done, which is more of a head of government mentality. Don’t get me wrong, both mentalities are valid. But the idea of someone being voted for being seen as either a unifying or a potentially divisive figure in a position that expects him/her to play both roles is a potent, volatile mix that tends to screw things in our country’s dynamic. Our history has examples of leaders whose leadership fell in either head of state or head of government type and the shortcomings they had that are brought about by having to play both parts. 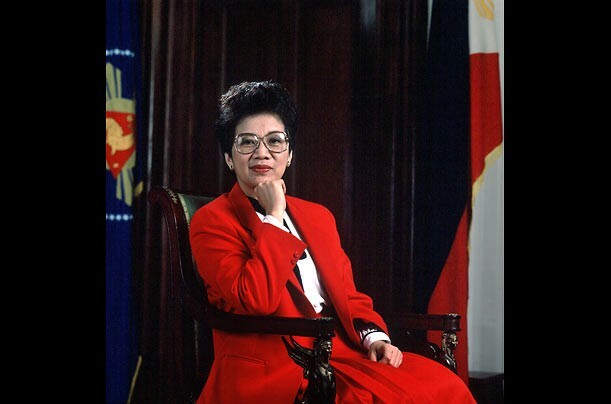 Corazon Aquino is a notable example of someone who fit more in the head of state role as she was elected by a popular sentiment against a dictatorship that long ruled the country. 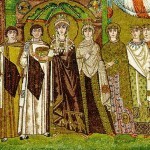 But once she did her role as head of government, she alienated many people who once supported her. Her playing the role as a head of government diminished her importance as a unifying figure in those times, triggering effects that are still being felt today. Understanding the difference between being a head of state and head of government would make us better see the roles our leaders or those vying to be leaders would fit in. Controversies aside, it can be argued that the type of leadership displayed by former President Joseph Estrada and our current President Noynoy Aquino falling into “head of state” category while the likes of former presidents Fidel Ramos and Gloria Arroyo fall in the “head of government” category. Looking at the possible candidates for the 2016 elections, I can see Grace Poe fitting the bill of “head of state” while Jejomar Binay, Rodrigo Duterte, and Mar Roxas fall into the “head of government” type. Again, all issues and controversies surrounding these people aside. Other countries have the roles of head of state and head of government kept separate like in the United Kingdom, Japan, Israel, India, and Singapore. While their governments have their imperfections, there is a sense of stability in them not found in ours. That stability lies in their heads of state, be it a monarch who came into power through lineage (as in the case of UK and Japan) or a president elected by the people. (as it is in Israel, India, and Singapore) If you look at these heads of state, you will realize they are not affiliated with any political party and remain largely apolitical, not intervening in the day to day affairs of the government. Weird as it may be to some, it makes a lot of sense once we understand the dynamics of being a head of state. As I mentioned earlier, the head of state represents the state and the people of the state. As such, he/she should be a figure of unity and stability to portray an image of stability of the state to others, especially outside the state. 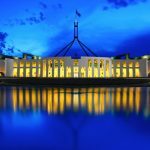 In contrast, the head of government tends to sow some level of divisiveness, and that is a given in the nature of the role he/she performs in implementing laws and policies. If both roles are performed by one person, there is no image of stability to portray, and others would cast doubt on the state in the process. The wisdom in having the roles of head of state and head of government is that it creates a sort of balance in governance of the state. True, the role of head of state is largely ceremonial in nature, but it serves as a yin to balance the dynamic yang that the role of the head of government brings, providing a clear and better separation of functions and a sense of harmony and stability in the state being portrayed. More importantly, we get to have better leaders who would be able to discern their leadership being fit for either head of state or head of government, no longer burdened by the baggage of having to do both functions that might possibly jeopardize the state’s stability in the process. It does not hurt that at this point in time to perhaps reconsider the type of governance that we have. Our country’s stability and future is at stake and if the current system does not work for us, it does not hurt for us to ask for something else, something better hopefully so we can have a better Philippines that we deserve. 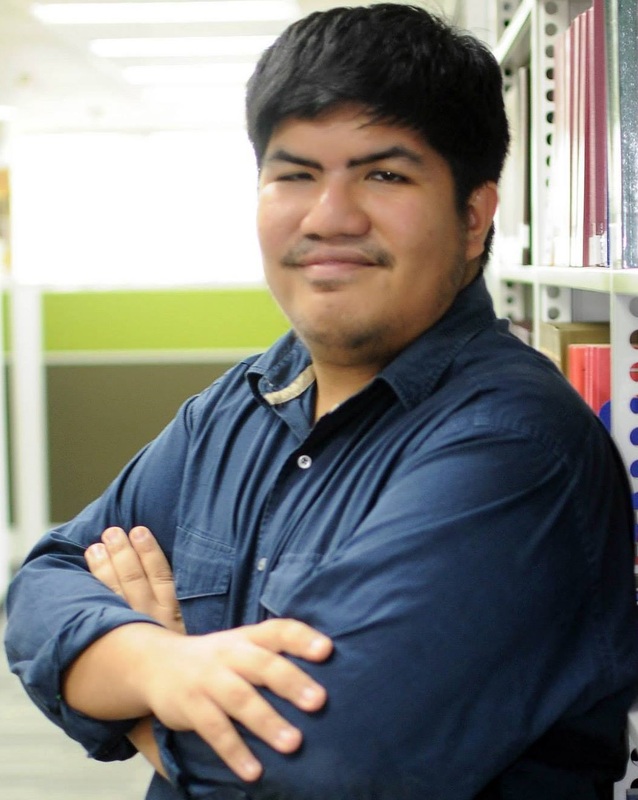 Karl Aguilar is a self-confessed urban roamer, freelancing as a writer and photographer, who has once participated in a national game show and dabbles into heady stuff from time to time. He has a blog that deals with the sights, sounds, and stories of the urban landscape, Metro Manila in particular, called, of course, The Urban Roamer, which you can check out at www.theurbanroamer.com. The writing is on the wall: “P-Noy” is losing support. 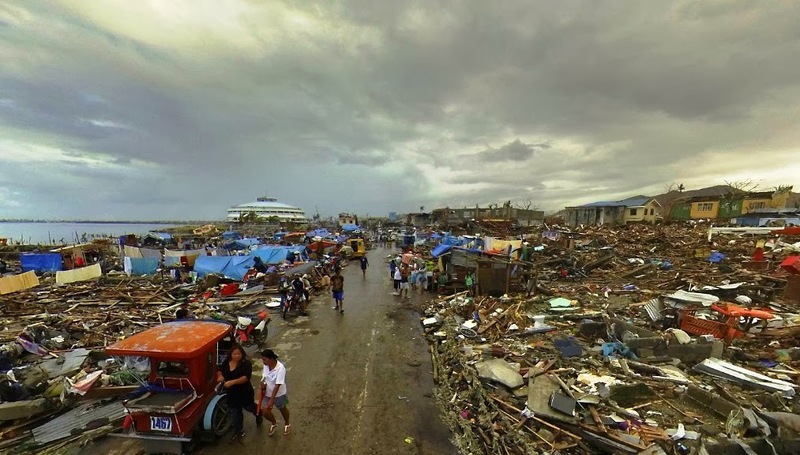 As a result of the wrath of Typhoon Yolanda (aka “Haiyan”), Philippine President B.S. Aquino III has been exposed to the rest of the entire world as being irredeemably incompetent and even unconcerned about other people’s lives. He’s on his way out. The “Noynoy Project” is coming to a disastrous end. The selfish Filipino oligarchs who propped up the obviously incompetent B.S. Aquino III to run for president on a purely name-recall “platform” to win the 2010 presidential elections with the intention of having their monopolistic interests looked after by Noynoy’s administration will eventually have to answer for their crime. Make no mistake, folks — pushing him to run for the highest office knowing fully well that Noynoy Aquino is a completely incapable and unempathetic individual was an act of evil and utter selfishness. They got him into a position of immense responsibility when all he really wanted to do was to play video games and spend time with his special nephew Josh. It is an unforgiveable crime. The evil oligarchs simply wanted Noynoy to do nothing that would create an inclusive economy that would promote competition, meritocracy, and provide upward mobility for hardworking Filipinos. Having the incompetent Noynoy doing nothing would mean protecting the rotten status quo that keeps the rich oligarchs rich, while preventing driven and hard-working individuals from moving up the ladder and later on engage in direct economic competition against the already entrenched old order of oligarchs. So yes, he’s fulfilling a role for the oligarchs and not much else. But what happens when crisis strikes? Here’s what happens: Noynoy freezes. All the time! In the Luneta Bus Hostage Crisis of August 23, 2010, he was totally absent even if the least he could have done was to briefly step in early on (within the first two hours of the bus hijacking) and announce that the National Government was taking over the resolution of that crisis. It was clearly beyond the capacity of the City of Manila to handle it since it involved coordinating with agencies such as the Office of the Ombudsman and other agencies which are “above its pay-grade.” (Vice Mayor Isko Moreno even had to travel through traffic all the way from Manila City Hall to the Office of the Ombudsman in Commonwealth Avenue just to try to meet the hostage taker’s easy-to-meet demands of reinstatement to his old job. But Isko Moreno did not have the authority to get that reinstatement order signed in time.) The National Government could have simply assigned a competent high-ranking national-level official and given him/her the appropriate “blanket authority” to take care of handling the crisis in a timely and efficient manner. But see, that’s why it all went to hell and people got killed. Noynoy did not step in at all to delegate all the necessary authority to someone competent while it was still early. The same thing has been happening with this recent Yolanda/Haiyan typhoon disaster. TV News coverage – both local and foreign – repeatedly exposes how the national government is too slow to respond to the requests of the local governments of Tacloban and other affected places. There’s essentially no sense of urgency on the part of Noynoy to do anything right or at least temporarily assign someone who is experienced and competent enough to be the overall crisis-coordinator with all the necessary blanket authority to by-pass any bureaucratic processes. 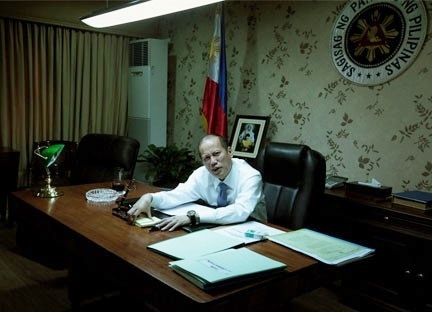 When a victim who had been held at gunpoint by looters at some point complained about the anarchy, the looting, and the violence that has spontaneously ensued as a result of desperation, and suggested declaring a limited “martial law” for the affected areas, Noynoy responded by saying “But you did not die, right?” Worse, he even walked out of that meeting! There will always be disasters and emergencies and leaders will always be called upon to provide true leadership and the ability to organize the country’s resources, armed services, and bureaucracy to do whatever needs to get done. We do not deserve to have leaders who snap at victims who merely suggest certain courses of action based on what they know. We shouldn’t have leaders who totally “lose it” and walk out of meetings just because they can’t handle the stress. Leaders are supposed to handle stress. 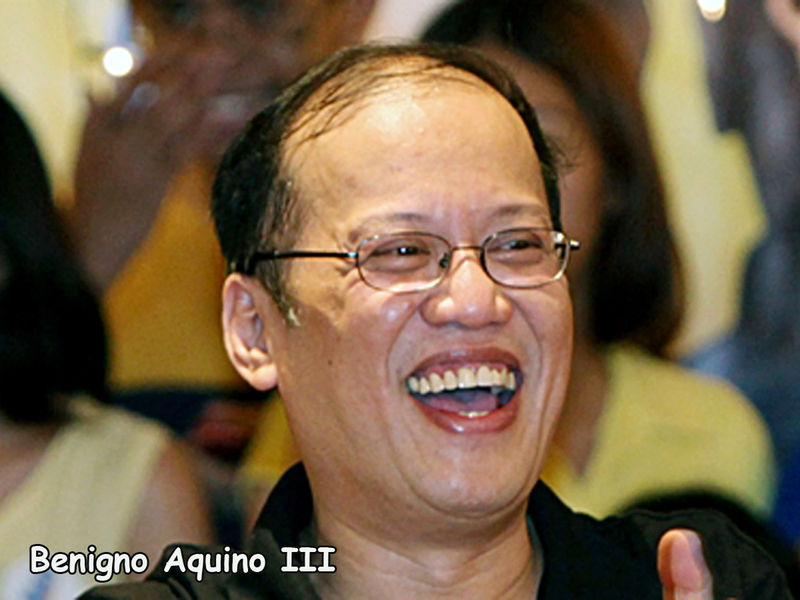 If Noynoy can’t handle stress, then he has no business being a leader! I vividly recall how the pro-Noynoy campaign tried to brush aside the obvious fact that Noynoy Aquino was the most incompetent among all the candidates for president: “He may not be very competent, but at least he has a good heart and he is not corrupt,” so they said. Yeah right. Not corrupt? Well what about the Pork Barrel scam? Not corrupt? What about his act of bribing legislators using the Priority Development Assistance Fund to get a Chief Justice of the Supreme Court ousted? Let’s be honest. That whole point in misdirecting the gullible Filipino electorate’s attention away from Noynoy Aquino’s obvious lack of any leadership abilities or even any sign of personal achievement and talk about some non-existent quality (“incorruptibility”) was meant to get Filipinos forgetting about what was to happen when the incompetent Noynoy did win and thus defeated candidates way better than him. Well, Filipinos, just look at who among last May 2010’s candidates for president is doing the greatest good right now: Richard Gordon – Chairman of the Philippine National Red Cross (and has always been with the Red Cross & Red Crescent Society even long before he got into politics). He’s been extremely active and on the scene in practically all disasters and emergencies, and the Philippine National Red Cross – under his leadership – has trained their personnel to be extremely competent in fulfilling their duties. Noynoy Aquino has proven to be a total failure. His administration has done nothing other than to prop him up by releasing false reports of “economic growth” that even got foreign media fooled. What economic growth? There was no increase in productive capacity! Only an increase in consumption fueled by the desperation of more and more jobless, underemployed, or underpaid Filipinos forced to seek jobs in faraway countries so that as soon as they start earning salaries, they send remittances back. That is hardly the sign of a growing economy, especially if the real unemployment rate is likely to be somewhere along the lines of 30 to 40 percent of the total working-age population, but they make it look like our unemployment rates is only around 7%. What a lie! But never mind. First things first: let’s go back to the typhoon victims. Foreign volunteers have teared-up on TV when talking about the victims they saw and tried to help. A Turkish Chamber of Commerce leader who led the Turkish relief efforts delegation – Mr. Irfan Karabulut – was shown on GMA News tearing up and sobbing while he described the dire situation on the ground in Leyte. 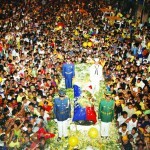 Have we seen Noynoy Aquino cry or sob for Our People? No. We’ve seen him smirk and smile! The guy is really abnormally incapable of any empathy towards fellow human beings. It’s not like we should be discriminating against people who have some kind of psychological disorder and can’t show empathy. We just simply shouldn’t have such a person as our country’s top leader! No competence and no empathy and this guy is the Philippines’ leader? Something has to be done at the systemic level. Our Presidential System whose winners emerge as a result of name-recall and popularity is at fault. After all, Noynoy won purely on the basis of his parents’ reputations. He won because people voted for his late parents Ninoy and Cory Aquino, and Noynoy got those votes win. We clearly need a better system. 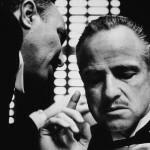 Under a parliamentary system, Noynoy-types would hardly ever get a stab at becoming the top executive leader. And if someone like Noynoy ever did slip through, the system works in a way that a mishandled tragedy like the Bus Hostage Crisis that exposed his incompetence would have already gotten him thrown out and replaced. Immediately. No need for a long, drawn-out process of impeachment. But we have a Presidential System so he’s still there, smirking and smiling and making excuses on Christiane Amanpour’s interview, talking about how he expected that the first responder in such an emergency would be the Local Government Units. Well, everyone knew that the Tacloban City local government was likely to be unable to function thanks to the overwhelming strength of that Typhoon, exacerbated by a Tsunami-like Storm Surge that is likely to have drowned and swept away lots of people. How can anyone expect the Tacloban government to respond if they’re victims themselves? That’s why the National Government was supposed to step in immediately! All he did was to spew out excuses and cop-outs on Christiane Amanpour’s show, no different from how he made his first appearance in the news right after the Bus Hostage Massacre and used the hostage tragedy in Beslan, Northern Ossetia in Russia as an excuse to cover up his own ineptitude by saying “…but, as you know, even in Russia—they have resources and sophistication—when they had that theater hostage taking situation, the casualties were even more severe.” What a freakin’ cop-out! And Noynoy has even rubbed his bad habits off on Mar Roxas. Mar has recently been trying so hard to show his subservience to Noynoy, donning a yellow shirt instead of the national colors and reading off Noynoy’s cop-out script. Does Mar Roxas not remember how Noynoy’s inner circle screwed him over when they betrayed him and pushed for the Noynoy-Binay combination instead of what was supposed to be the Liberal Party’s solid Noynoy-Mar ticket? This preoccupation with using “bureaucracy” as an excuse is part of the Noynoy script which has been used over and over again! When former Hong Kong Chief Executive Sir Donald Tsang tried calling Noynoy several times, Noynoy and his staff said something about how the HK Chief Executive “did not follow the proper protocol.” For crying out loud, Noynoy, that was an emergency situation! Suspend all this B.S. about protocol, paperwork, and bureaucratic procedure in order to save lives! Protocol and bureaucratic procedure are both done for normal situations, but during emergencies? The priority is saving lives! It’s the same muddling up of priorities over and over again. And the Wharton-educated Mar Roxas who worked several years in the USA is supposed to be way more intelligent, more experienced, and more practical-minded than the grossly incompetent, unempathetic, and totally clueless Noynoy Aquino. But no, Mar Roxas is sucking it up to his lazy and sub-standard boss by wearing yellow, drinking the Noynoy Kool-Aid and mouthing all types of useless excuses and cop-outs, and generally just making himself a tool within a wider cover-up operation. Mar doesn’t seem to realize it, but he’s now being turned into some kind of a scapegoat in all of this. A recent Inquirer news report came out trying to make it look as if the conflict was between him versus Tacloban Mayor Alfred Romualdez, with Noynoy Aquino being presented as the peacemaking mediator who got both sides working together. Ultimately, Mar Roxas was merely following orders from Noynoy when asking the Mayor to declare that he could no longer function as Mayor. And now they’re trying to make it look like Noynoy is the good guy who’s bringing both together? Unbelievable how these people think they can fool the Filipino people! The Noynoy Administration isn’t just incompetent. It’s evil! People have talked about Noynoy going from Hero to Zero. His being totally unfit for the presidency has been exposed beyond reasonable doubt. He has single-handedly destroyed his family’s honor and now the Aquino-Cojuangco family’s good press has been totally eroded by his incompetence and ineptitude. Truth be told, Noynoy’s family and relatives knew the risks of making him president. But I guess they didn’t think he’d screw up big time and thus drag them down with him. Noynoy is irretrievably on his way down and out. But before he gets thrown out, he can at least do the right thing and fix the flawed 1987 Constitution and regain the respect and honor he lost. He could at least try doing an F.W. De Klerk and fix the flawed status-quo. Frederik Willem De Klerk was the last Apartheid Era leader of South Africa. Although he was a conservative member of the old white minority, he saw how Apartheid couldn’t be sustained anymore as his country continued to be ostracized in trade & economic relations, banned in many sporting events, and suffered from extremely negative press due to their institutionalized racism. He knew that the Apartheid era was coming to an end soon as it was losing support and relevance, so despite being the leader of the old order, he took the initiative to negotiate with the African National Congress and move to get Nelson Mandela freed. He presided over the dismantling of Apartheid, and the democratization of South Africa. While De Klerk was from the same caste of people who had previously set-up the evil Apartheid system, instead of getting demonized, De Klerk is actually considered to be a hero as he was the one who helped to end it and paved the way for the equality of all South Africans and helped get Mandela becoming the next leader. He saw that Apartheid and the old order had to go, so he moved to get rid of it under his watch. F.W. 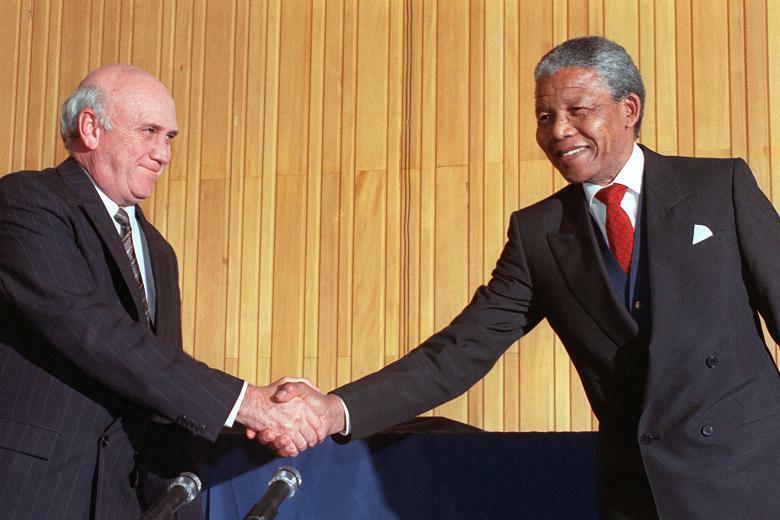 De Klerk got the Nobel Peace Prize together with Nelson Mandela in 1993 and in the election the year after, was named as Nelson Mandela’s deputy in what essentially became a unity government. Despite being on the “way out”, Apartheid-era leader De Klerk became a hero and an acknowledged partner in the formation of the new South Africa. Many of the people who used to be so supportive of him have suddenly gone silent on social media. All over social media, in taxi cabs, in open public spaces, the vast majority of people hate Noynoy & his administration for their incompetence in handling the Rescue & Disaster Relief Operations. The only few remaining ones who continue to support Noynoy look like a bunch of lunatics. Noynoy is truly on his way out. He has destroyed his clan’s name and whatever respect his late parents Ninoy and Cory Aquino used to get has gotten replaced by hatred and contempt all on Noynoy’s account. He no longer has a political career. It’s over. But instead of just simply giving up just like that, Noynoy can do an F.W. De Klerk and make sure that his eventual exit turns him into a respected figure – a transformative agent of reform. That’s something he can do to turn his life around. 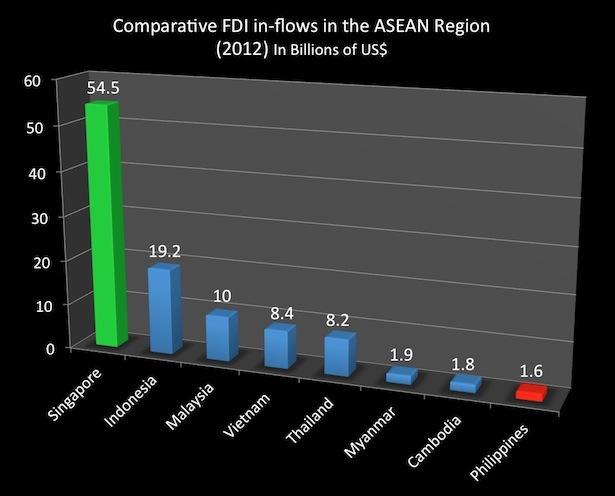 Look at how low the Philippines’ FDI-inflows are. They’re pathetic. And that’s because many would-be foreign investors get turned off by Constitutional Restrictions that explicitly discourage majority foreign-owned businesses from coming into the Philippines. When we start needing to rebuild and recover after this disaster is over, we won’t be able to do it alone and we’ll clearly need a lot of foreign direct investments to help create jobs for all those displaced people who lost everything. 1) Economic Liberalization: Remove all the anti-FDI Restrictions in the Constitution in order that foreign investors can easily come in and create jobs for Filipinos. Local investors will never be enough given the massive devastation and loss of infrastructure resulting from the killer-typhoon. If we’re so happy to receive foreign aid, well, people will be much happier to stand on their own and work for a living, never mind that their employer is a foreign company. We’re doing it already anyway: OFW’s slave away working for foreigners in foreign lands. Well, how about opening up the economy to foreign companies so that our people won’t have to be OFW’s and instead can work for foreign companies while still based in the Philippines and be close to their loved ones? 2) Evolving Federalism: Set up the gradual region-based decentralization to eventually move towards regional autonomy to economically empower the regions and provinces to decongest the overcrowded National Capital Region. When regions are given the ability to determine their own economic policies, chances are they will more likely come up with more business-friendly policies since they are closer on the ground to the people in their areas. Most OFW’s come from the regions and provinces after all. Why not get the regions empowered to attract investors on their own and set their own tax policies and do whatever they see fit in bringing in more jobs? 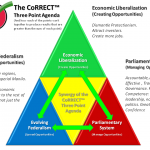 3) Shift to the Parliamentary System: Shift to a system of government where incompetents do not emerge and in case they do, it is easy to remove and replace them with better people. In a Parliamentary System, competent statesmen like Richard Gordon, Gibo Teodoro, and others have better chances of becoming Prime Minister. In a Parliamentary System, transparency is higher while corruption is lower (assuming ceteris paribus, that is). 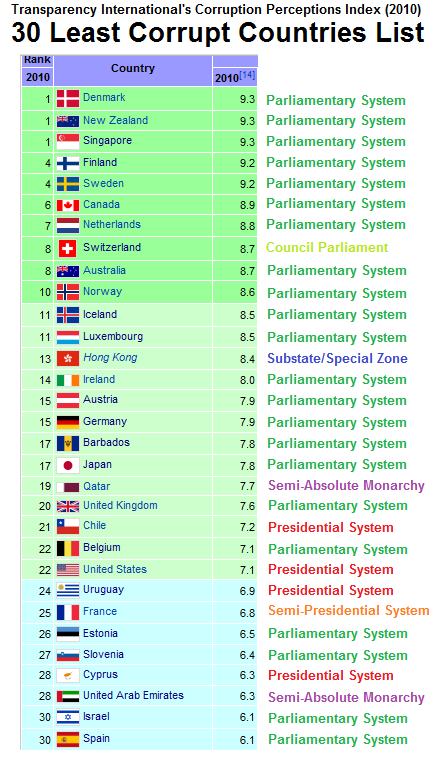 It is no wonder that Parliamentary Systems by and large dominate the top ranks of global competitiveness, least corruption, highest GDP per capita, most economic freedom, best human development, etc. Elections are less expensive and are much more focused on platforms and parties rather than on candidates personalities and their surnames. Noynoy has no choice. He has already lost the respect of the people. Outside the Philippines, he is seen to be an “empty suit” who simply rode on his dead parents’ reputations and cannot deliver. He has been exposed as an incompetent puppet and proxy of the evil oligarchy, and he has even used the disaster to get back at political opponents like Tacloban’s Romualdez family who come from the political opposition. But that doesn’t mean he can’t regain respect and honor. He just needs to make the necessary reforms happen soon. To President Noynoy Aquino: Your days are numbered. You are on the way out. But before you go, please make sure you do what you can to fix the flaws of your mother’s 1987 Constitution. If you do that, Noynoy, at least you can end your term on a positive note. Who knows, if you do get the ball rolling for Constitutional Reform, you can earn your place as a real hero and regain the respect and honor that many of your administration’s wrong decisions have caused you and your family to lose.